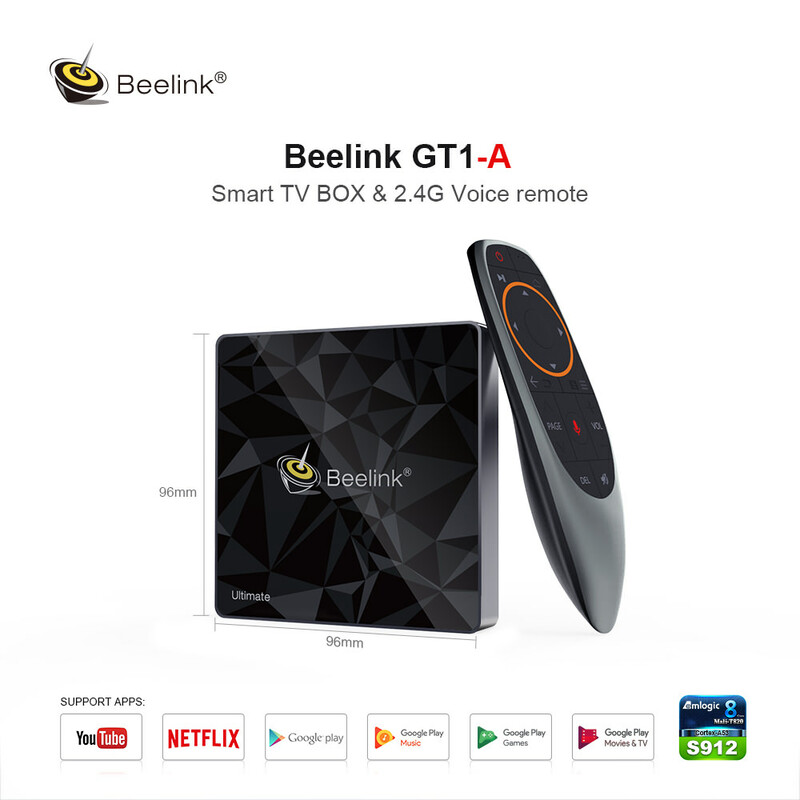 The Beelink GT1-A TV box is packed with an Amlogic S912 octa-core powerful processor, coupled with a 3GB DDR4 RAM and a 32GB of internal storage. It runs on Android 7.1, capable of handling 4K videos and provide an excellent gaming performance. It owns a 3D noise reduction filter to change your visual enjoyment, you do not need to go to the cinema to watch 3D movie. Base on the GT1 Ultimate, GT1-A adds Android TV as a system, remote control with voice control and Netflix 4K support.